Women Build Up Women is Habitat for Humanity of Greater Miami’s initiative to raise funds for building decent, affordable homes for low-income single mothers and their families. It is Habitat’s powerful way of bringing together strong, successful women that want to support and build up the women in their community. This was Hard Hats & High Heels’ third consecutive year as the signature fundraising event for Women Build Up Women—organized by the Women Leadership Council of Habitat for Humanity Miami. 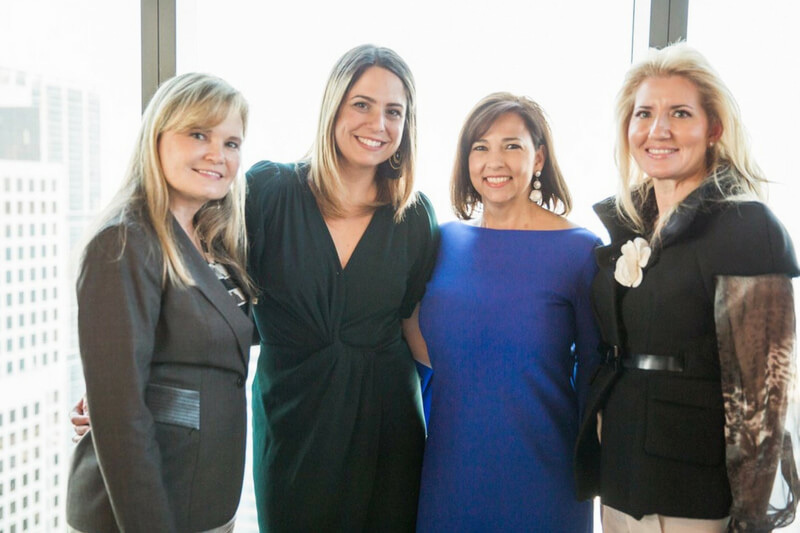 I commend our dear friend Danet Linares, Chair of Miami Habitat’s Women Leadership Council, and the driving force behind this event these past three years. Danet once again served as Chair of the magnificent and meaningful event that took place at the East Hotel in Brickell City Center—along with Diana Pubchara as Co-Chair. The Women’s Leadership Council of Habitat for Humanity Miami is composed of Katherine Amador, Erbi Blanco-True, Yvonne Debesa, Cristina Glaira, Cristina Gomez, Iris Linares, Patricia Lubian, Gladys Reed, Crystal Renta, Maureen Ruggiero, Lauren Sippin, and Cyveliis Vidal. Since 1989, Habitat for Humanity of Greater Miami has been working with the community to build decent, affordable homes in partnership with families in need, volunteers, and donors. Habitat breaks down socio-economic barriers by bringing people of different races, ethnicity, and cultural backgrounds to work together for that common goal. Through the affordable housing program that is Habitat for Humanity of Greater Miami, its donors and volunteers have extended to over 450 families the opportunity to own a safe and affordable home. Donating does not only build a house—it builds a life, a home, a community, and a future. As past Chair of Miami Children’s Health Foundation, I know how important fundraising is for the benefit of charities in our community. I salute fellow women who take the lead and help increase awareness and support for their charities of choice. If you were unable to attend, we ask that you please consider making a donation today and help our community by partnering with Habitat for Humanity of Greater Miami. With your help, a family can achieve their American Dream of being a homeowner. For more information on how to donate to Habitat for Humanity and Hard Hats & High Heels, please send an email to jesus@lopezgovlaw.com.